The peak industry groups representing the thousands of men and women in Victoria who gain a livelihood from timber and forest industries are demanding that the Andrews Government immediately release an updated Timber Release Plan and deliver certainty regarding Regional Forest Agreements. The Australian Forest Contractors Association (AFCA), the Victorian Association of Forest Industries (VAFI) and the Australian Forest Products Association (AFPA), have united in an unprecedented show of force to deliver the strongest of messages possible to the Victorian Labor Government. AFCA CEO, Stacey Gardiner, called the Victorian Government’s actions ‘completely unconscionable behaviour.’ “The Timber Release Plan was due a year ago. The Government appears to be drip feeding snippets of information to the media promising that some release is due sometime. This is playing with the lives of Victorians who expect more care and concern from their Government. Native contractors in Gippsland are struggling to meet their contracted supply, have no money to pay the bills, and many are reporting a growing sense of despair,” she said. VAFI CEO, Tim Johnston, said politics should play no part in the security of people’s well-being. “But for months now that’s what the Andrews Government has been doing to hard-working Victorians in the native timber industry. The Government’s ongoing failure to approve a new Timber Release Plan is on the verge of bringing the hardwood industry to a standstill and is having a detrimental impact on the mental health of those affected. The Andrews Government has turned its back on these timber workers. This has gone on for too long. More than 1600 directly affected regional workers are at desperation point,” he said. AFPA CEO, Ross Hampton, said the failure of the release of the timber plan is part of a larger wrong the Government is committing to regional workers and regional communities. “The Government claims it is in the process of modernising Regional Forest Agreements, which are the agreed management processes used across Australia to manage the environmental, social and economic balance in using our precious forest resources,” he said. 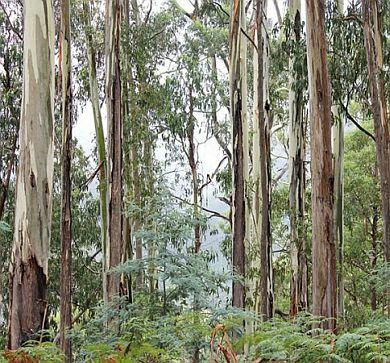 “Regional Forest Agreements have been signed between the Commonwealth Government and the State Governments of NSW, Tasmania and the Labor Government of Western Australia. The industry is deeply suspicious that the behaviour of the Victorian Government suggests that ‘modernising’ means that the Victorian Government actually is planning a reduction of area available for harvest. This would be ridiculous as only six per cent of the Victorian timber estate is available and suitable for harvest now and any further reduction beyond the thousands of hectares which have been added to national parks would potentially drive the industry and the regional jobs which rely on it into collapse”. “State and Federal Governments of all persuasions have understood for twenty years that Regional Forest Agreements provide certainty that environmental values will be maintained, and timber processing allowed at a very modest scale. The Victorian Andrews Government may be the first to turn its back on that established practice and science,” Mr Hampton said.